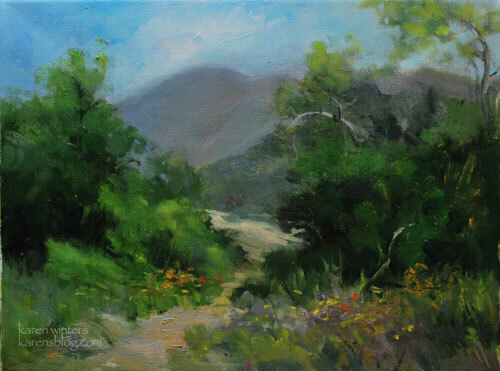 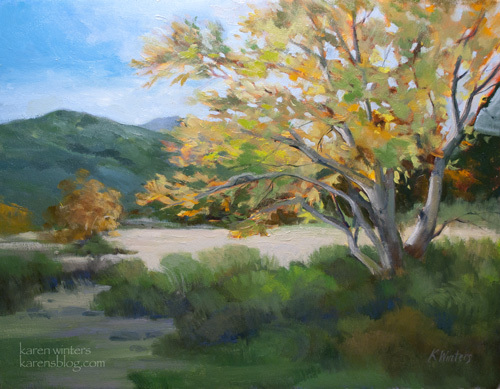 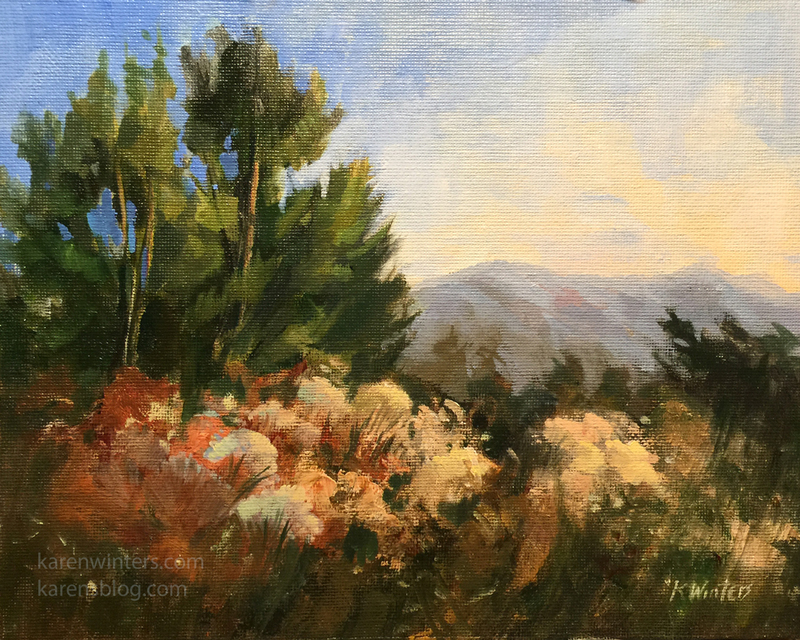 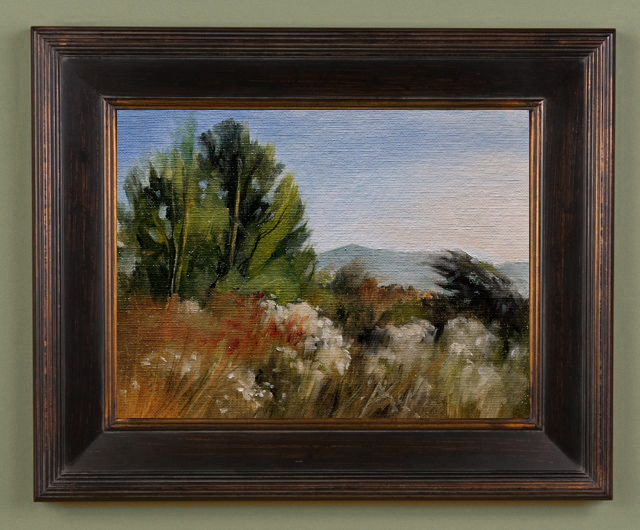 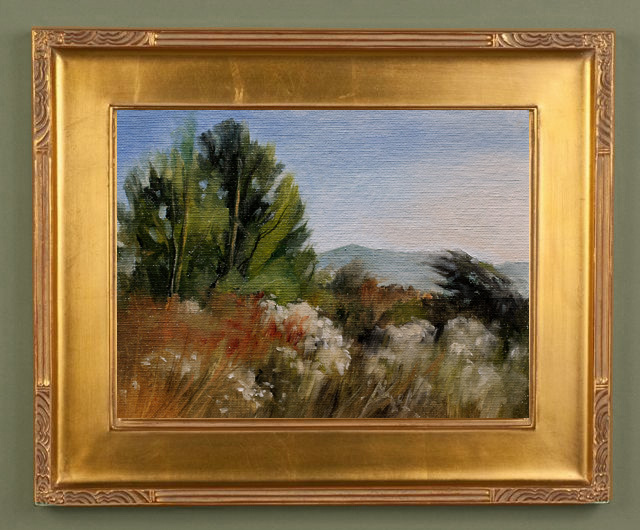 This miniature original oil painting captures the mid day light at Eaton Canyon, a watershed area near Pasadena. 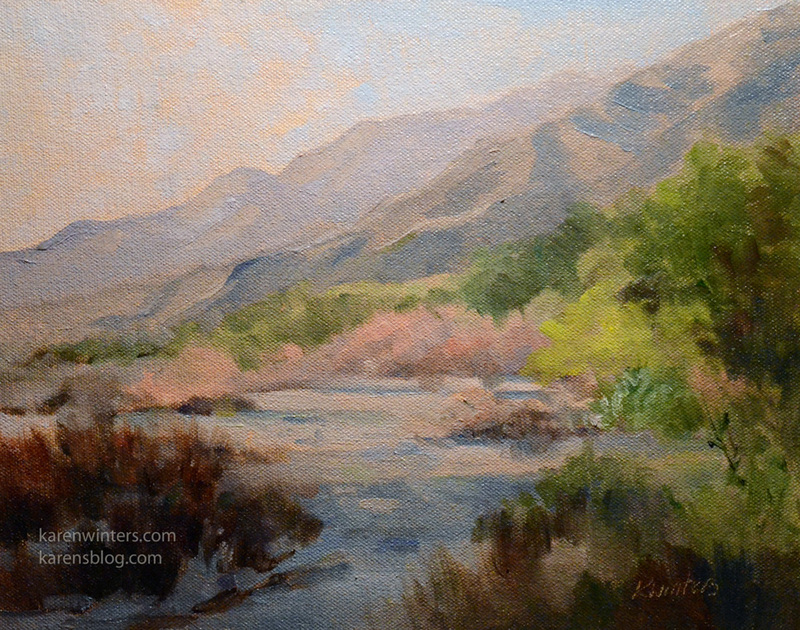 Rough and wild, our occasional rainstorms rush down the canyon creating a seasonal stream. 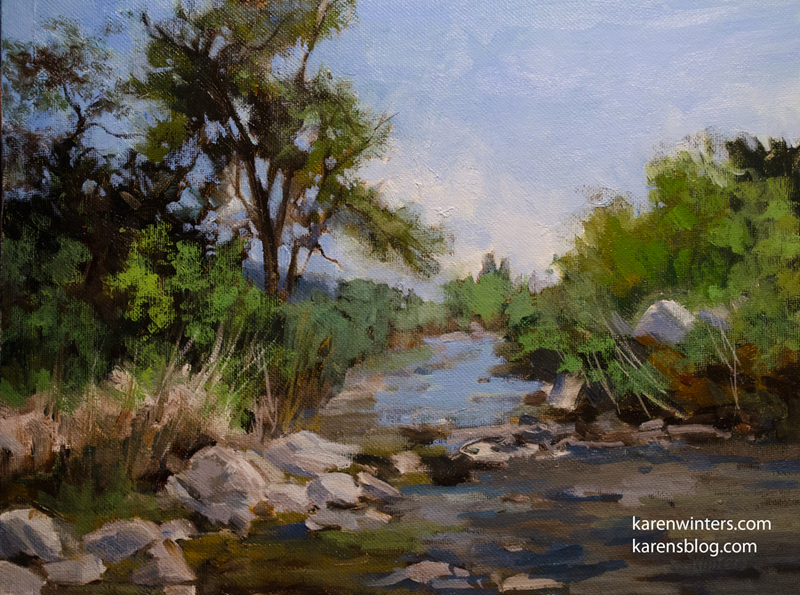 We could use a lot more water this year! 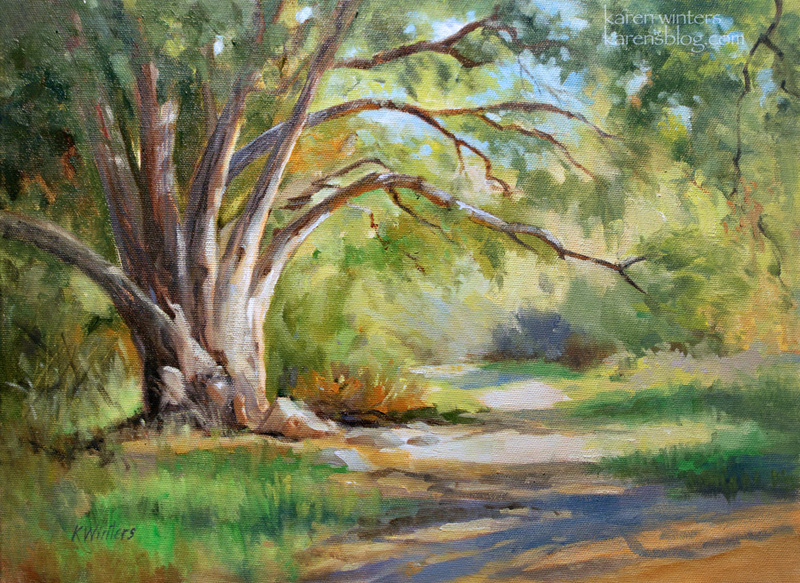 This graceful old oak arches over a trail on Eaton Canyon, beckoning the hiker to walk under the arch and continue their journey. 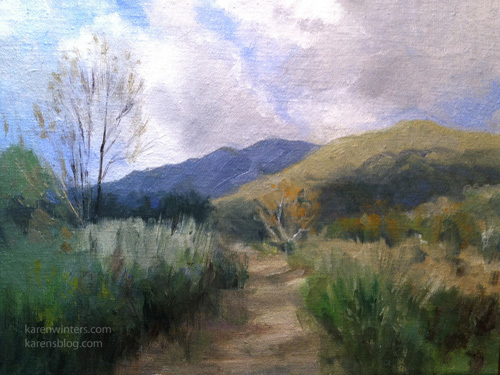 Scenes like this are typical of trails all over California, though. 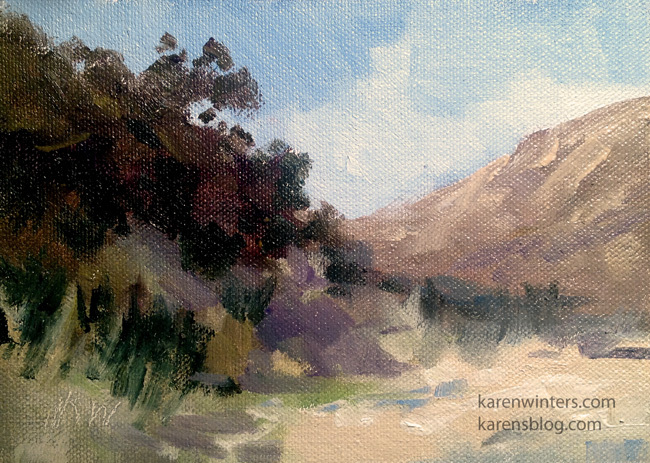 From the Arroyo Seco of Pasadena, the Cerro Gordo campgrounds of California’s Central Coast, the equestrian trails of La Canada, where I live, and the trails of Irvine Park, Malibu Creek State Park, Agoura, and more. 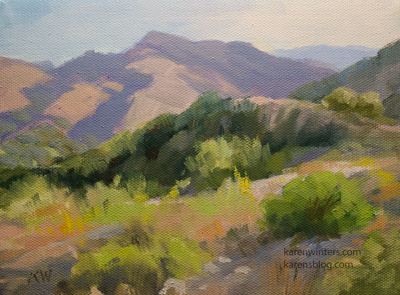 I’ve seen so many places like this that it is truly iconic of California, especially in the springtime when the grasses are still fresh and only beginning to turn to gold.